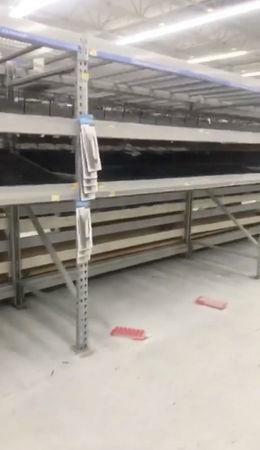 (Reuters) - Residents of North and South Carolina began evacuating coastal areas on Monday, after Hurricane Florence intensified into a category four storm, stripping supermarket shelves and stocking up on fuel for their cars. The evacuations have prompted spot outages at gasoline stations, according to a spokesman for North Carolina Petroleum Marketers Association, but supplies have been quickly replenished. A BP gas station in Wilmington, North Carolina - where the storm was predicted to land - was out of gas for about two hours on Monday evening, said assistant store manager Nadine Schrock. The station, which had triple the number of customers it normally sees, also ran out of cases of bottled water, she said. “You probably have the tip of the iceberg," said Patrick DeHaan, head of petroleum analysis at tracking firm GasBuddy, adding that many consumers are anticipating "a run on stations later.” After the storm hits, power outages may make some gas stations inoperable, DeHaan said in a phone interview. 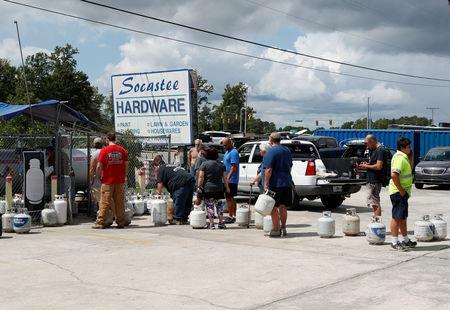 In South Carolina, where 1 million residents have been ordered to evacuate, distributors were sending out gasoline supplies to prevent stations running dry. “All of my transport drivers have been busy as they could be trying to get in front of the storm,” said Dennis Curtis, owner of Curtis Oil Co., a fuel distributor in Chesterfield, S.C. that serves both states. “We’ve just been overwhelmed with requests by state agencies and everybody else,” he said. People trying to escape Florence in South Carolina were coming across the state border to Georgia, and hotel rooms and campgrounds were getting booked fast, CBS affiliate WGCL-TV reported. "As soon as that mandatory evacuation comes down...think it's noon (Tuesday), they will see a huge influx," Tori Gayle at the River Falls campground in Lakemont, Georgia told the station. Florence could stall out after striking the coast, forecaster say. That would cause more flooding rains across a large swath of the South, after Tropical Storm Gordon inundated the area earlier this month. 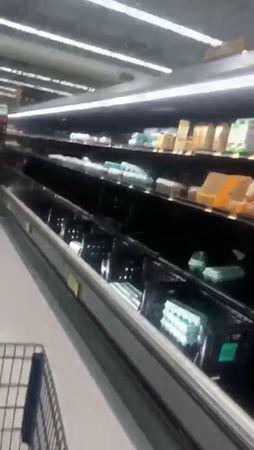 Residents in Raleigh, the capital of North Carolina, a three-hour drive from the coast, saw grocery store shelves stripped of food and water supplies.